In 2015, YM Tennis club made a permanent move to the Copleston Centre in Ipswich where we have the use of 4 floodlit astro carpet tennis courts (Matchplay 2 surface). The Copleston Centre has changing showering facilities, a function room and Bar Area with TV. This very positive development for our club has ensured that we can continue to offer friendly club tennis to both existing and new members. 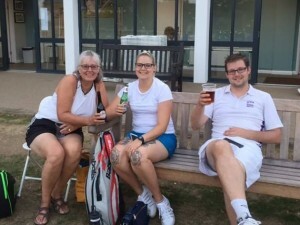 We have worked hard to maximise the facilities available to make sure we can offer an enjoyable friendly atmosphere for both competitive tennis and social Club Play. Our courtside cabin project is now complete, see YM News posts. This new dedicated area at the far side of the courts (access through the court area) has provided a pleasant environment, including welcome storage for court equipment and shelter from the British weather. Since our permanent move to Copleston in 2015, we are very happy to have attracted several new members who have already proved to be a huge asset to both club and match play. We still have membership vacancies, why not come and see what we can offer you? 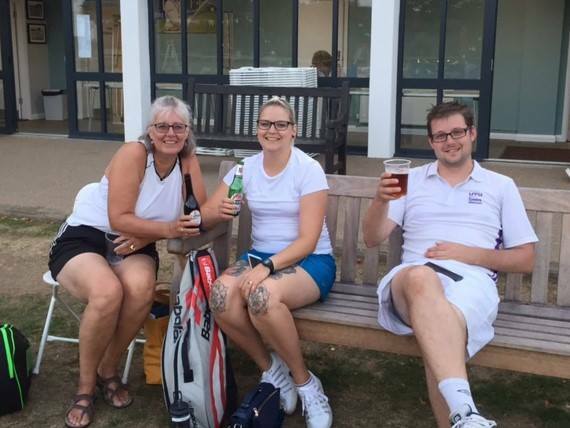 We have membership openings for both adult match and social players. New member’s special offer: 25% off current subscriptions, please see subscriptions page for further details. 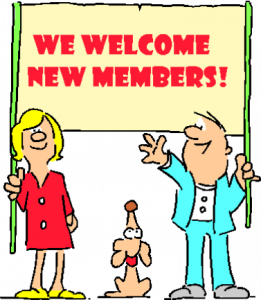 Potential new members are invited to contact us to arrange their first visit to a club session where they will be welcomed by a committee member and included in the club session. We offer 3 free trial sessions to give players a chance to decide if we are the club for them. Although we do not operate membership trials, it is a requirement for players to meet a basic standard to ensure the playing enjoyment for both themselves and existing members. In the past we have found that ‘rusty’ players soon get back in the swing and whilst we currently do not have a Junior section, any young players with the ability to play to a level suitable for adult club are most welcome and we offer both Junior and Youth subscriptions. Our current membership age range is from 15 to 70+. We are sorry that we are currently unable to accommodate beginners or juniors unless they have a playing competency suitable to join in main adult club play. 2018 FRAMLINGHAM SUCCESS for Jacobs clan! 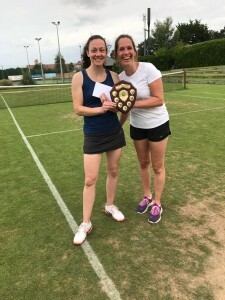 2017 SUFFOLK CLUB LADIES DOUBLES CHAMPIONS 2 YEARS RUNNING!